8 Surprising Ways Music Affects and Benefits our Brains | Belle Beth Cooper. 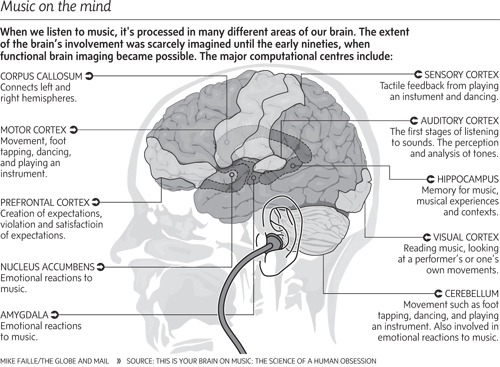 An interesting post at HuffPost on the effects of music on our brain’s processing. In a perhaps not entirely rigorous manner, a chart linking different personality types is presented. I wonder what my habit of listening to podcasts on my daily walks says about my personality. This entry was posted in Zeitgeist and tagged Arts, Belle Beth Cooper, Brain, Brains, Cognition, different personality types, Education, HuffPost, Music, Related articles Belle Beth Cooper, United States. Bookmark the permalink.